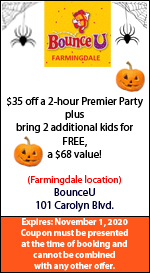 You don't need a special occasion to get your bounce on. Reserve your spot and then come by and enjoy awesome inflatables, fantastic games, and wall-to-wall fun. Bring socks!